Rotton Park Reservoir, in Birmingham, is a pivotal place for those living in Ladywood and surrounding boroughs. 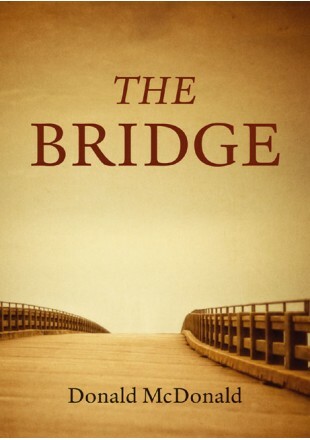 The Bridge is a fictional account of individuals whose lives, predominantly encompassing one decade of the twentieth century, are recounted against events locally, nationally and internationally. From Edith Appleyard in service and, later, a typist during the early part of the century to Colin Brazier, who fought in the Great War and who found love while recovering in hospital from wounds before tragedy strikes. The Depression Years and a young man wrongly convicted of child murder through the Second World War which has a profound effect on Enoch Wickham. Post-war and the ‘Teddy-boy’ era and National Service is explored through the eyes of Reg Burkenshaw. A budding young lyricist dreams of stardom during the Swinging Sixties and John Halliday realises an ambition when he is appointed Theatre Director of the Old Birmingham Rep in Station Street, for some years in the Seventies. Margaret Clayton’s life changes during the Thatcher years and the Falklands War; from sorrow to eventual happiness – hers is a triumphant example of the human spirit. In the final decade a promising boxer has his career cut short and descends into an abyss before a chance encounter reveals the meaning of life and he is given a second chance. The only link these individuals have is that all walked around the reservoir and over the bridge, as hundreds of thousands did during the twentieth century.